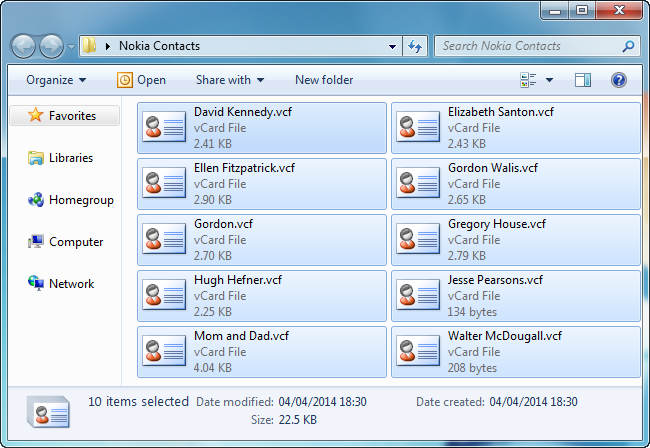 How to transfer Nokia contacts to iPhone? 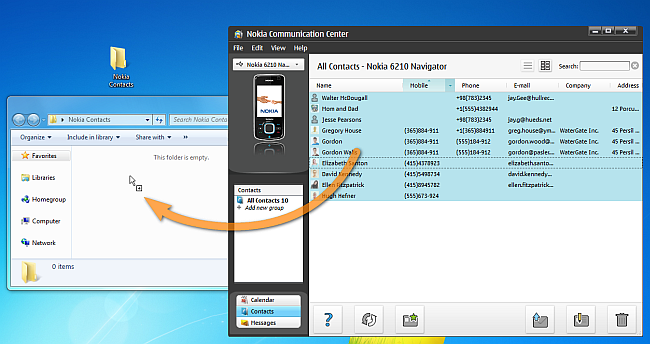 Home » How to transfer Nokia contacts to iPhone? 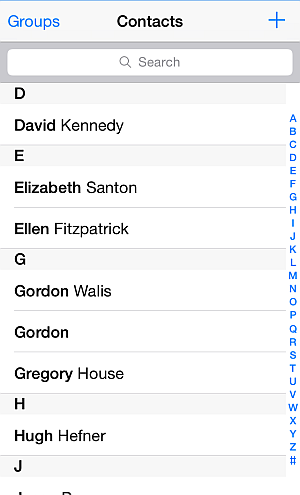 The steps below demonstrate how to transfer Nokia contacts to iPhone. 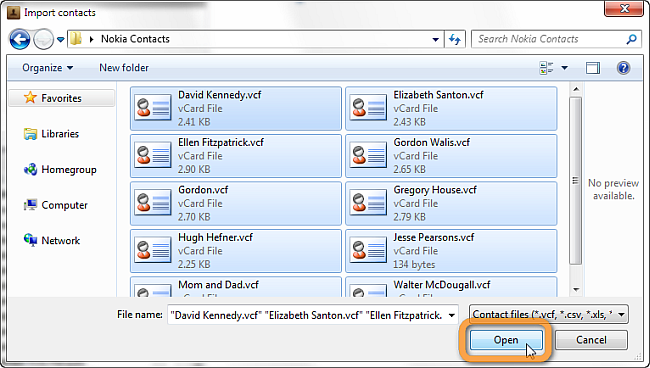 The transfer is done via the free Nokia PC Suite and CopyTrans Contacts. 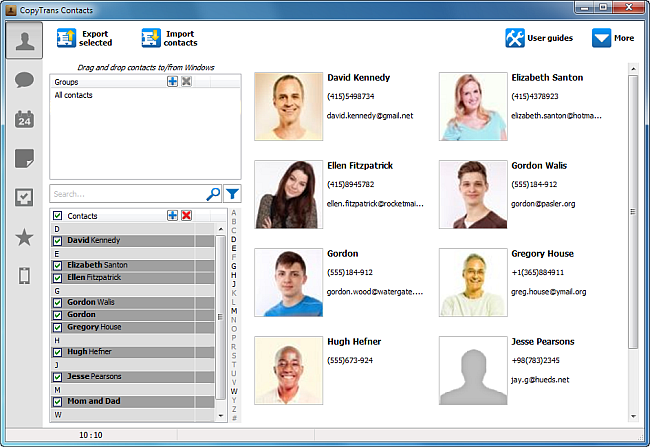 This method works for most older Nokia phones including the Nokia 6000, 7000, and 8000 series, the Nokia E, N, and X series, and all iPhone types including iPhone 7. 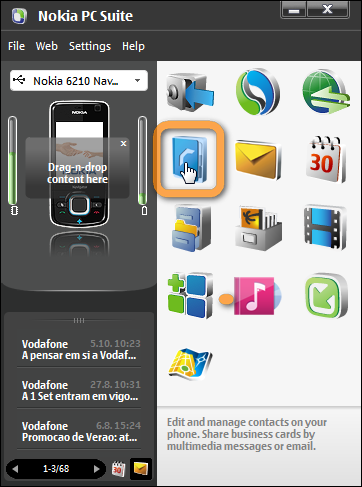 Nokia phones running on Symbian are also supported. 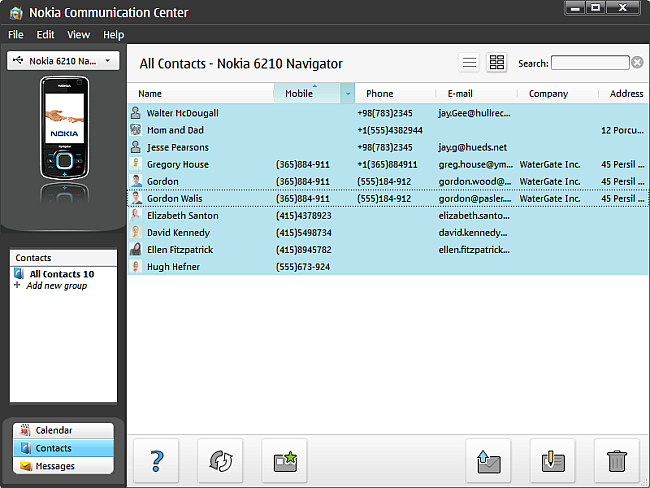 For this demonstration, we used a Nokia 6210 Navigator. 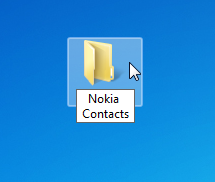 In order to transfer the Nokia contacts to your computer, get the Nokia PC Suite. 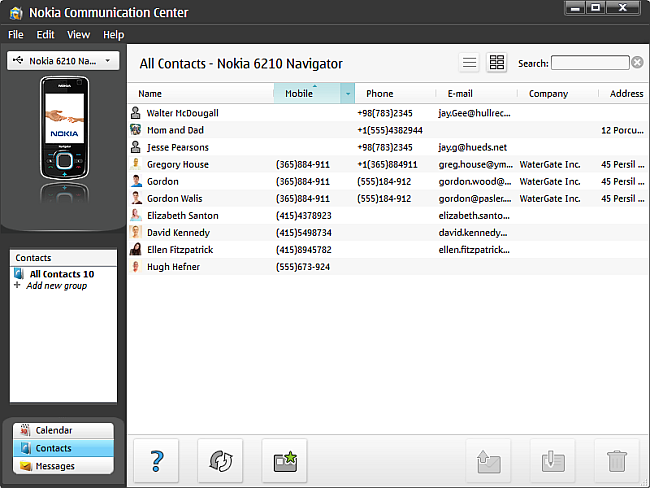 Now, select all contacts listed in the Nokia Communication Center. 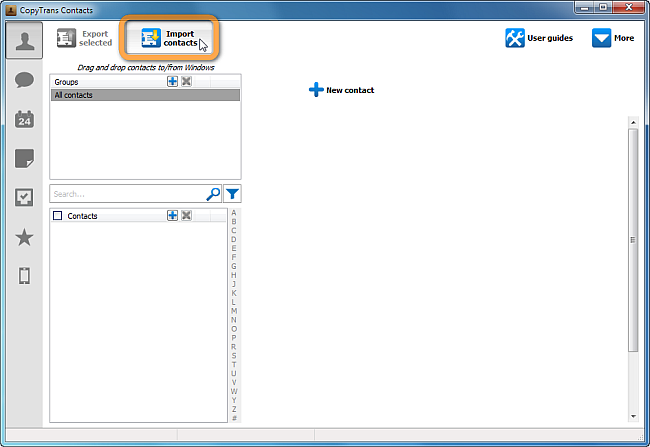 To do so, select a single contact entry, then press CTRL + A on your keyboard.